4.4 star ratings from genuine users and our clientele is a homage to the quality of product and services offered by Appy Pie. 100,000 downloads already done and still counting! App Builder App Maker App Creator App generator Create an app Make your own app App development Android app maker Website builder Online app maker Iphone app builder Create my own app Best app creator Easy app maker Artificial intelligence in App Development Artificial intelligence programming Artificial intelligence projects Do you know how to create an ideal App? Are you looking to make an App for your Business? How to make free Android App in minutes ? Your wish is over. 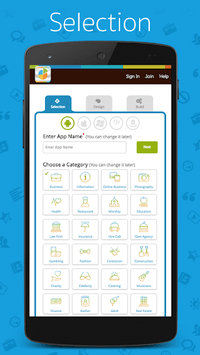 With Let's App Builder ,It is the world's fastest growing mobile platform for business. 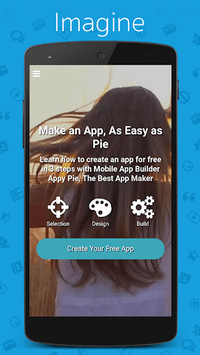 Create your own android application for free in minutes! No coding skills or technical knowledge needed. Prime Let's App Builder - introduces the first app development builder tool that doesn't needed any programming and is designed for the palm of hand. you will be able to create your own app with three easy steps : (i) Selection (ii) Design (iii) Build . Move your business M2M to the next IOT level by having a mobile app right now. Easy way to use app maker and requires no programming skills . 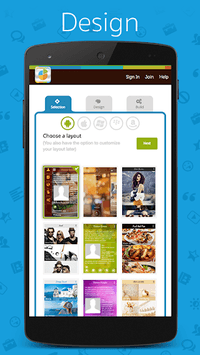 You will be able to create powerful & awesome app design that will look and feel beautifully like a native app. Features : - Instant deliver .apk file - FREE Trial - Material user interface - Multiple app categories to choose from - themes to better suit your needs - Give instant updates to end user with updating app - Versatile design to personalize your app with your own images and text - Social Media integration, connect your Facebook, YouTube and Twitter to your app - Publishing to app store platforms (Google Play) - Send push notifications to your users - Flexible chat - Add various pages like - about,contact,home,map,chat,quiz,document,survey,portfolio e.t.c - Additional services Benefit : - No need for learning Android Application Development tutorial - Free of coding or technical skill - No need for learning JAVA or XML *You will need a subscription to keep your app published. A free trial is included.